If you wish to hire a taxi to reach the airport or other destinations but want to skip the stress of finding one, our "Airport Transfer" facility is just a call away from your room. 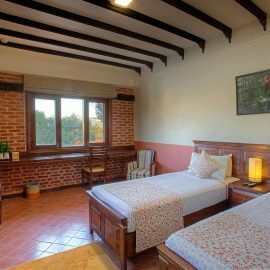 Traditional Comfort is the long awaited dream-come-true of a few entrepreneurs in the Nepal’s tourism and hospitality industry. The idea was first born 25 years ago. 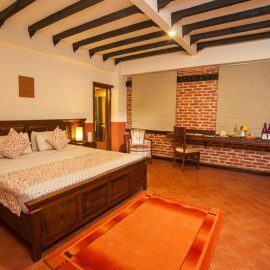 The young entrepreneurs who had the idea for this hotel are now experts in their respective domains. 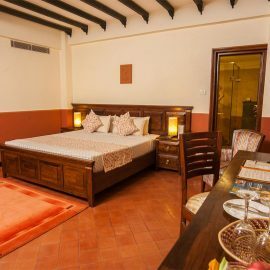 Although the Hotel Traditional Comfort is itself only a year old, it embodies the 25 years’ professional experience of its founders. 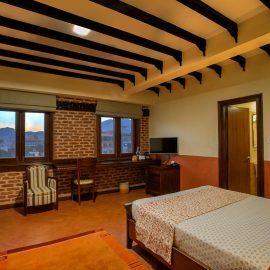 It is not only a boutique hotel but a collaboration of expert minds - a perfect blend of classical and authentic culture in Nepal’s hospitality industry. Traditional Comfort aims to be a place to relax - your home away from home. It blends the cultural and ancestral craftsmanship of Nepal. Being a centuries old reservoir of arts and creativity, Nepal is renowned for its authentic hospitality and the custom of accepting guests as the manifestation of God. 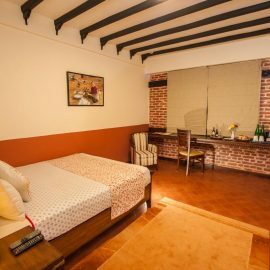 Hotel Traditional Comfort follows these teachings of Nepali society and offers a time-travel experience, making every moment of your stay memorable. 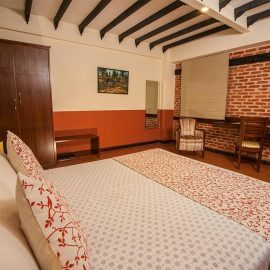 The design of the hotel illustrates the wealth and variety of Nepali culture. 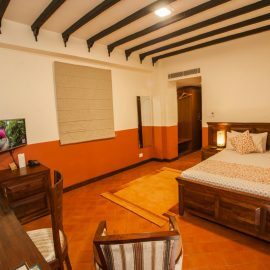 The artistic features are evident in the wall paintings, window carvings, study room, structure of the rooms, selection of colors, and every little detail that makes up Hotel Traditional Comfort. You will experience the luxurious sensations of the past alongside the comfortable hospitality of the present.